In a significant development, the National Thermal Power Corporation (NTPC)’s Dadri Power Plant is opting for a Dry Sorbent Injection (DSI) system for controlling sulphur dioxide (SO2) emissions and ensuring compliance with the 2015 environmental norms within the stipulated deadline. 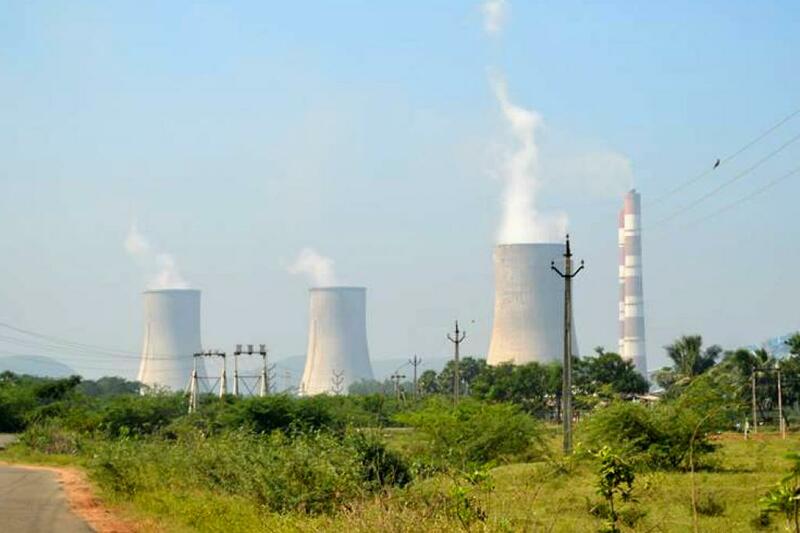 The power plant has been asked by the Central Pollution Control Board (CPCB) to comply with the environmental norms for coal-fired thermal power plants by December 31, 2019. The environment ministry has submitted the information that the plant will be compliant with the environmental norms by 2019 to the Supreme Court as part of the case on air pollution in Delhi, wherein pollution from coal-fired thermal power plants has been included for hearing among other issues. As per the Institute of Clean Air Companies in the United States of America (USA), DSI is the practice of injecting a dry alkaline mineral into a flue gas stream to reduce acid gas emission. DSI offers advantages in comparison to traditional acid gas scrubber technology: lower capital cost, wide range of favourable operation conditions, and much lesser time for completing installation and commissioning. While conventional wet limestone flue gas desulphurisation (WLFGD) takes over two years, DSI takes only 12-14 months to be up and running. It also reduces emissions of other acidic gases and heavy metals like mercury. Sodium sesquicarbonate (or Trona) and sodium bicarbonate are sorbent materials (which can collect molecules of another substance by sorption), though hydrated lime can also be used sometimes. India has surplus sodium bicarbonate production, thanks to the chlor-alkali industry and its sizeable global presence. Thus, the reagent is also not very expensive, eliminating high operational costs as a barrier. G Srikanth, an independent technical expert, believes that the technology choice is appropriate. “The lower capital cost and smaller construction and commissioning time make it ideal for smaller generation units that have stiff deadlines. 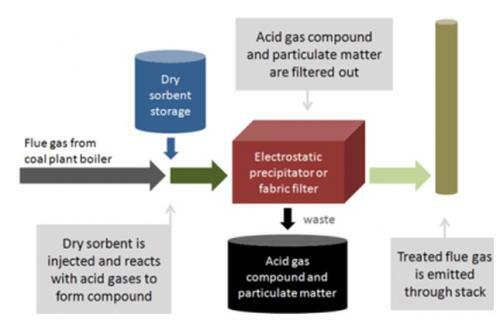 Moreover, DSI actually improves the efficiency of electrostatic precipitator (ESP), thus reducing the emission levels of Particulate Matter (PM) further,” he said. Operational costs due to reagents, however, remain a bone of contention. While some experts believe that the reagent in question is expensive, raising the operational costs, others are of the opinion that the higher cost is offset by the lesser quantity of reagent that will be needed in the process. Notwithstanding the differences in opinions over cost of reagent, this is a significant development for the power sector, as the stations and technology manufacturers had been advocating for flue gas desulphurisation (FGD) as the only solution. The Centre for Science and Environment (CSE), which has been at the forefront of advocating implementation of the 2015 environmental norms, had recommedned that the smaller power generation units (less than 500MW) should be adopting alternatives to the FGD system to achieve compliance with the prescribed standard. Against the 300 mg/Nm3 standard prescribed for 500MW units, the smaller units have to meet 600 mg/Nm3. Interestingly, in a 2016 roundtable conducted by CSE, several representatives of the thermal power industry as well as technology suppliers had agreed to the utility of sorbent injection for the smaller units. Moreover, sorbent injection is not a new technology. It is not entirely unknown to India. Sorbent injection with hydrated lime as the reagent has been in practice for a long time in the cement and steel industries in the country to control SO2 emissions. With extraction of Acid gas compounds along with Dry Fly Ash through ESP what will be the impact of this additional element on Fly ash cement industries and Fly Ash Brick industries?Else this compounds discharged with wet Ash will may have impact on Ash Pond discharge water. Very informative .Only costing needs to be added.